Your mat was next to mine at your first class. I knew it was your first before you informed the teacher because you had a loaner mat, you were wearing jeans and looked a bit lost. I tried not to watch you, but I couldn't help but notice your struggle. The poses seemed foreign to you and your eyes constantly looked around the room as you tried desperately to mimic the other bodies. Your face showed confusion and physical pain, and I wish I could have helped you. As far as first classes go, that wasn't a great one, man. On the scale of one to is this sacrilegious? it was pretty weird. But worse than that, you were uncomfortable and nobody helped you modify poses or learn the basics. You jumped into the pool of yoga but you couldn't swim, and nobody threw you a raft. 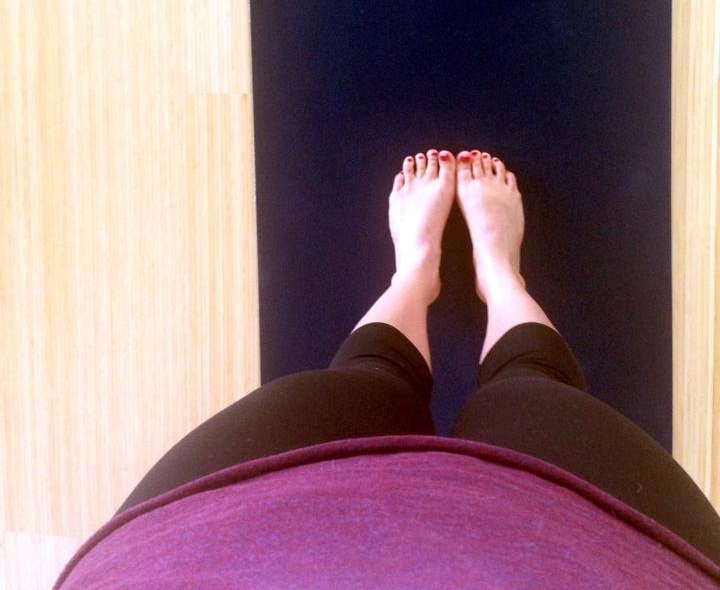 When we rolled up our mats and left after savasana, I felt sad as you hobbled out the door. Sad because I knew the chances you'd come back were slim (though I couldn't blame you). Sad that you might never give yoga another chance ... and maybe yoga could have changed your life like it did mine. I tried not to dwell on it, wished you the best and went on with my evening before returning for yoga the next morning. Arriving early, I did a few stretches and as I turned in my twist my mouth dropped into an involuntary lion's pose. YOU walked through the door! You probably thought I was either strange or hitting on you the way I was beaming. That class was much better — a little less chanting/strange breathing/etc. and the teacher was wonderful in helping you modify and learn the basic postures. You weren't wearing your restrictive jeans and although you still struggled, you appeared much more comfortable. I wanted to high five you so many times. And then you were in class the next day. And the next. And in tonight's class, I noticed you placed your mat at the front of the room by the teacher (and you had your own mat!). In this last week of my yoga practice, you've inspired me more than any of the teachers or other yogis. You stepped outside your comfort zone with an open mind. You are brave, have perseverance and you don't fear judgment. Also, you survived a 90-minute yoga class in jeans, which is pretty amazing. Thank you, stranger. You may be a newb, but you already exemplify some pretty amazing yogic qualities. Confessions of a brat: Is it possible to stop wanting?